Prior to the formation of Al-Qaeda in the Arabian Peninsula – or AQAP – in 2009, al-Qaeda in Saudi Arabia had been engaged in attempts to lay the basis for a wider insurrection against the Saudi royal family. The US-led invasion of Iraq in 2003 coincided with a sudden rise in AQ-related attacks in Saudi Arabia, including some SVBIED attacks on high-profile targets. A documentary on al-Qaeda’s early operations in Saudi Arabia released in July 2018 and titled “Path of Blood” included tons of previously unseen video footage recorded by al-Qaeda cells themselves in Saudi Arabia. 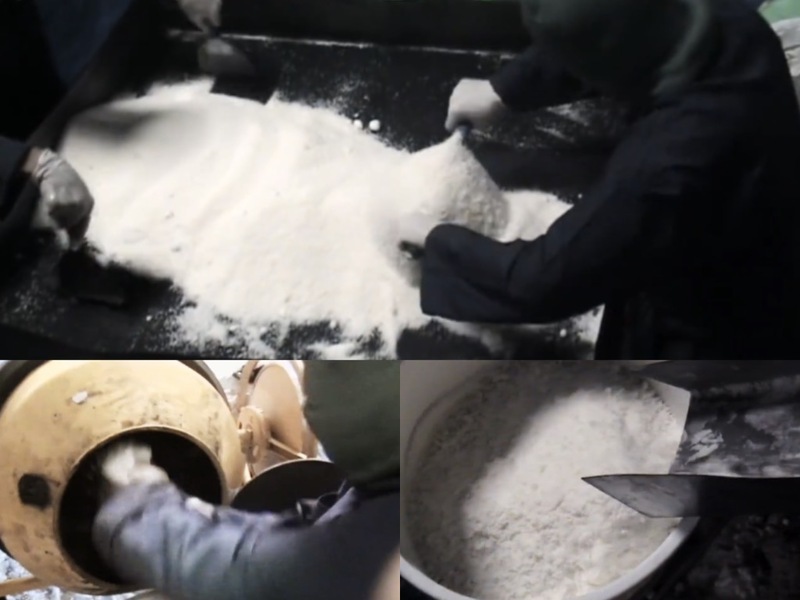 This unedited footage featured detailed scenes of AQ fighters manufacturing and preparing a number of SVBIEDs for use in a number of attacks in Saudi Arabia in 2003, 2004 and 2006. This footage is a rare insight into the design and construction process of early al-Qaeda SVBIEDs. In this article, I will cover three of these SVBIED attacks. This attack in late 2003 followed the Riyadh compound bombings in May the same year, and used the same M.O. of targeting housing facilities home to foreigners. As the responsible AQ cell prepared for the November attack, they began overhauling a civilian vehicle into an SVBIED in their Riyadh safe house. The desert-coloured pick-up truck SVBIED chosen for this attack had already had its encased payload mounted on the rear bead of the truck at the beginning of the footage. 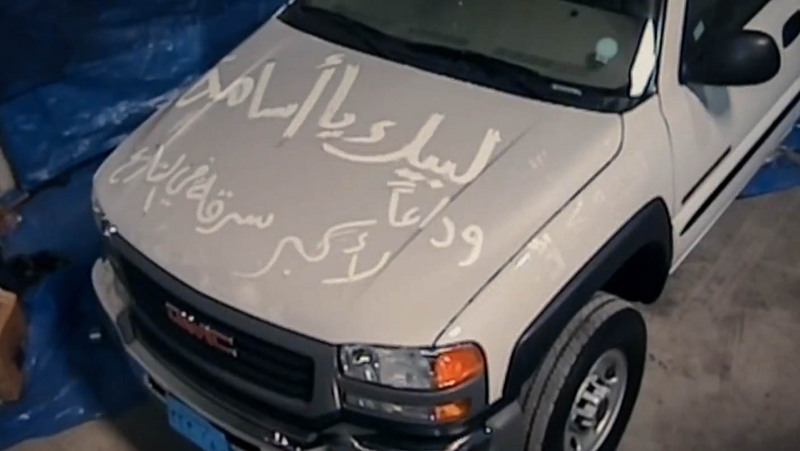 One AQ fighters scribbled slogans on the side of the vehicle, with some of them saying “I bring you slaughter” and “Expel the polytheists from the Arabian peninsula”. 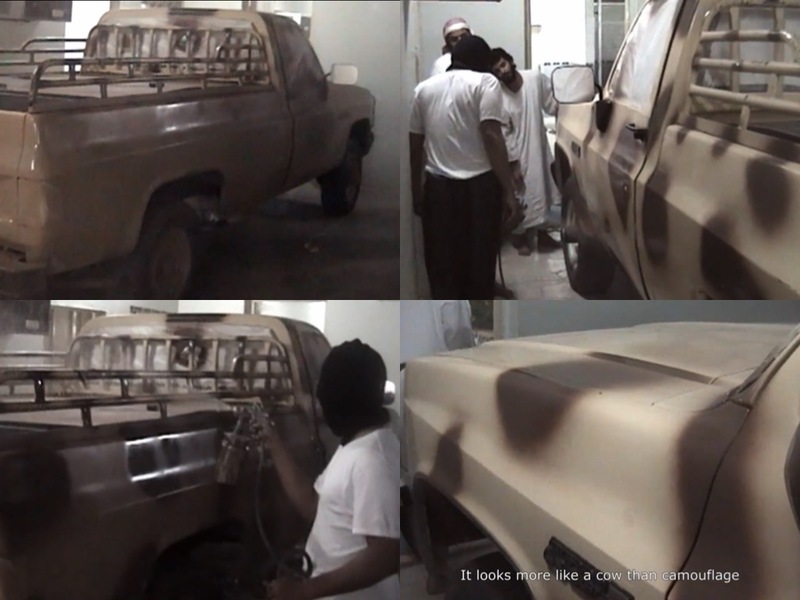 In order to increase the stealth factor of the covert SVBIED, a camouflage pattern was spray-painted over the entire vehicle. On top of that, they used a stencil to spray-paint the official “Saudi Army” logo to the side of the vehicle, giving the covert SVBIED a legitimate look. 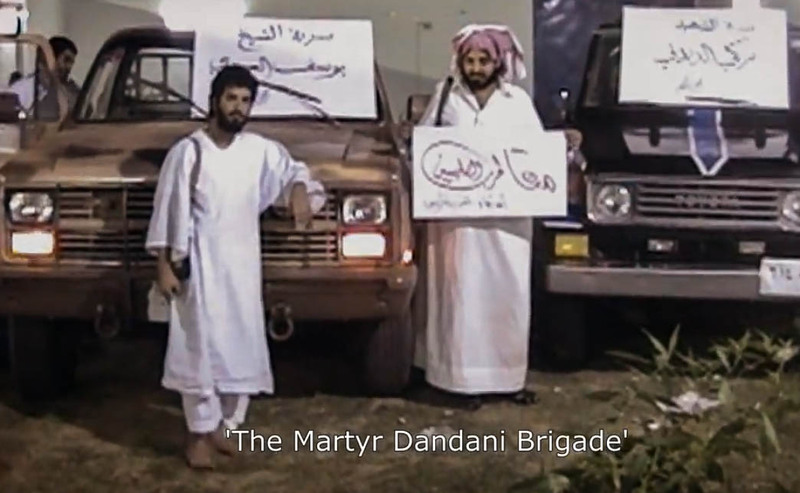 Before embarking on the mission, the AQ cell posed for a picture with signs next to their finished covert SVBIED, displaying their self-imposed name “The Martyr Dandani Brigade”. Turki Nasir al-Dandani was an al-Qaeda commander in Saudi Arabia that died in a manhunt in July 2003 following the Riyadh compound bombings in May. It’s highly likely that all AQ fighters participating in the November 8 SVBIED attack wore Saudi Army fatigues in order to blend in with normal soldiers and facilitate passing through checkpoints. On November 8, the covert SVBIED detonated right outside the al-Mohaya housing compound in Laban Valley, West of Riyadh – causing 17 deaths and 122 injuries. In this attack, the AQ cell used an unmodified older GMC pick-up truck as the SVBIED shell vehicle. Similarly, the entire payload (seen open in the below picture) was designed to be encapsulated in a metal box in the rear bed of the pick-up truck. This covert SVBIED was equipped with two firing switches connected to a car battery powering it, along with a redundant car battery as a failsafe. 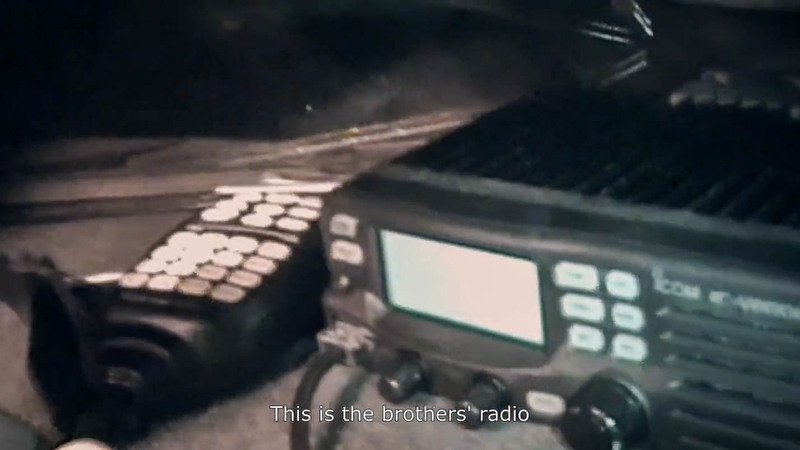 On top of that, the chosen SVBIED driver was also equipped with a radio so that he could stay in contact radio contact with the fighter overseeing the attack. 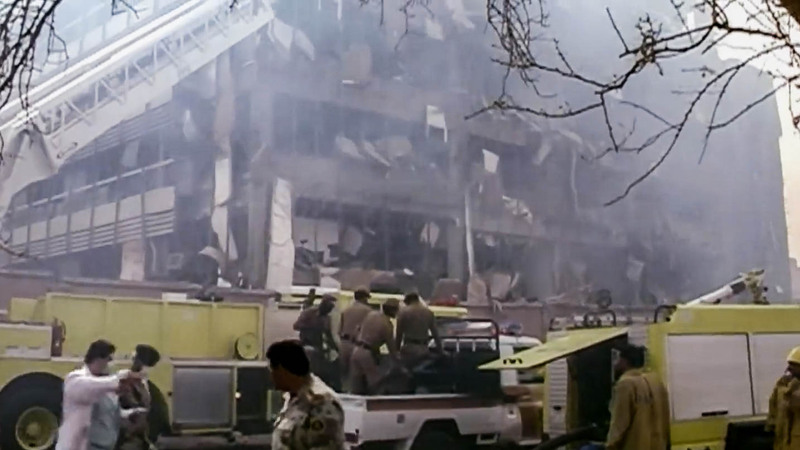 The original target of this attack was the public security headquarters building, but as its defences were too strong the adjacent traffic police headquarters building was chosen as a target instead. 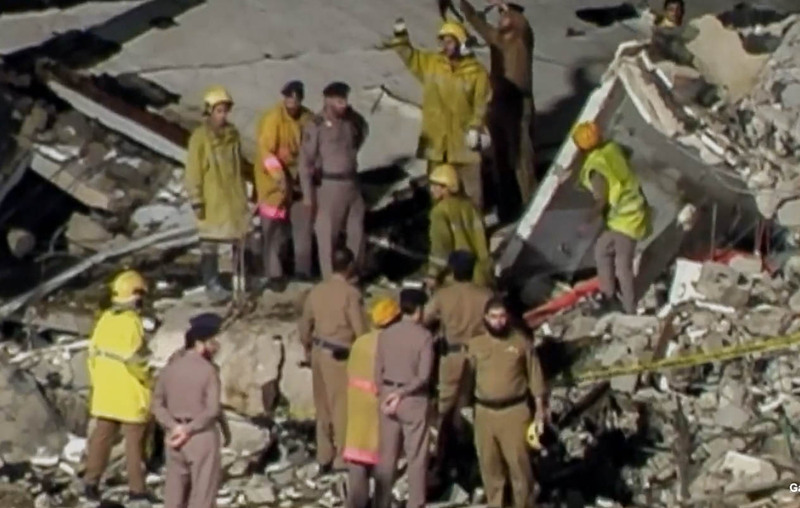 The detonation caused 5 deaths and 148 injuries. Abqaiq oil processing plant is responsible for 60% of Saudi Arabia’s oil production and is the largest such facility in the world. The al-Qaeda cell responsible for this attack began manufacturing the two SVBIEDs involved in the attack at a safe house before travelling to the vicinity of the facility – located in eastern Saudi Arabia. 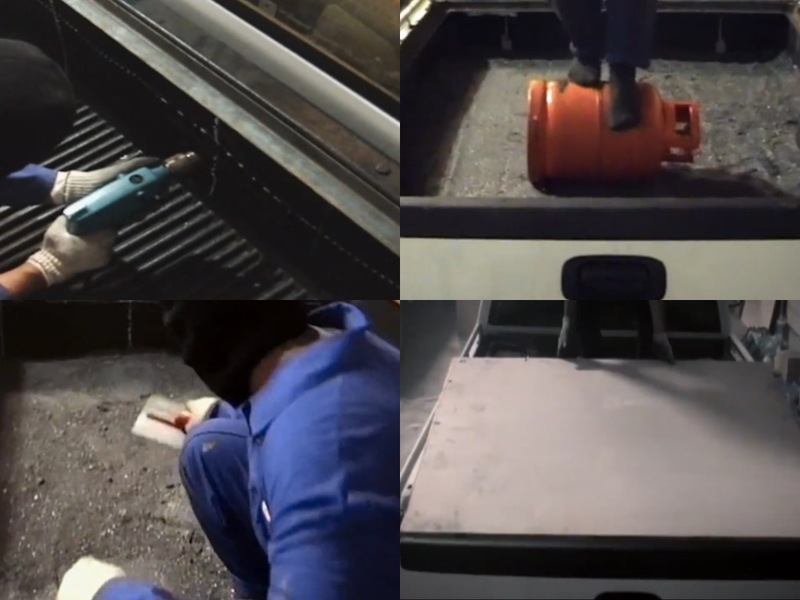 The video footage starts off by showcasing parts of the process of manufacturing the explosives used for both SVBIED payloads. It’s likely that they used some form of ammonium nitrate and diesel (ANFO) mixture with aluminium shavings. Subsequently, plastic bottoms were mounted to the rear beds of the shell vehicles, filled with the explosive mixture, compressed by an AQ fighter balancing on a gas cylinder, before being encapsulated. The shell vehicles used in this attack were two unmodified white GMC pick-up trucks. At least one had a slogan scribbled in the dirt of its hood, saying “Under your orders, Osama! An end to the biggest robbery in history!”. The day before the attack was supposed to take place, both SVBIEDS were transported out into the desert close to the Abqaiq facility. 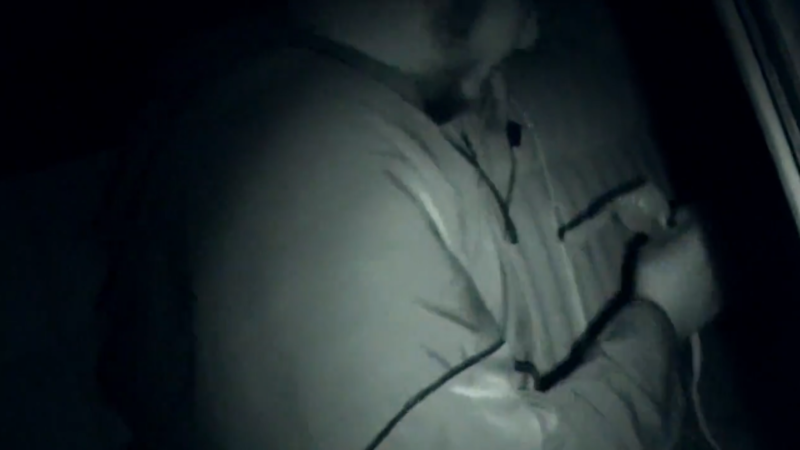 At the desert campsite, the detonation mechanism could also be seen in the footage. It contained a firing switch and a safety that needed to be pressed before activating the former. 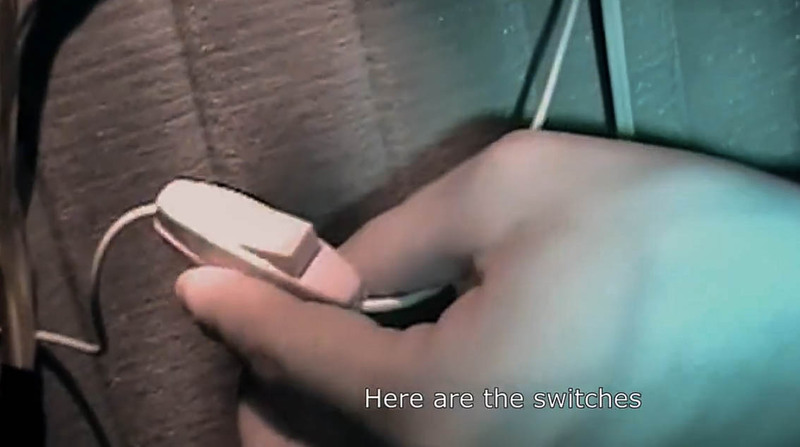 Each switch was also connected to a small lightbulb. This setup is eerily similar to the standardised white box detonation mechanism typically employed by IS in most of their SVBIEDs. However, this is the earliest example of this type of SVBIED detonation mechanism that I’ve seen. 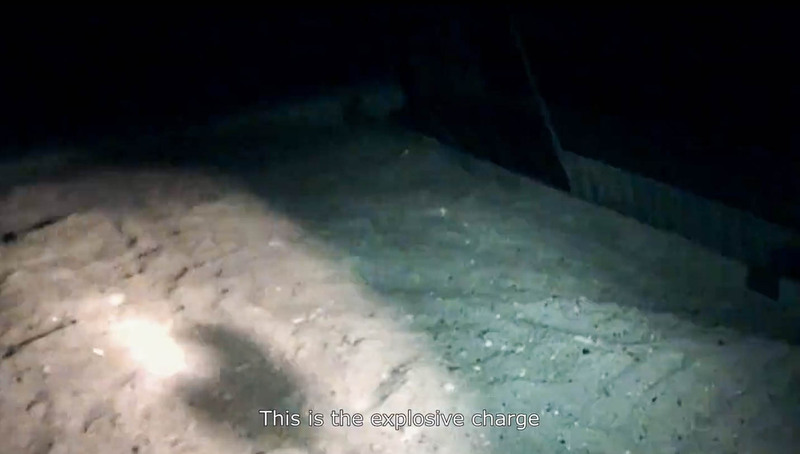 Jabhat al-Nusra utilised a similar detonation mechanism in one of their SVBIEDs as early as 2012, a further indication that this is a design specific to al-Qaeda. 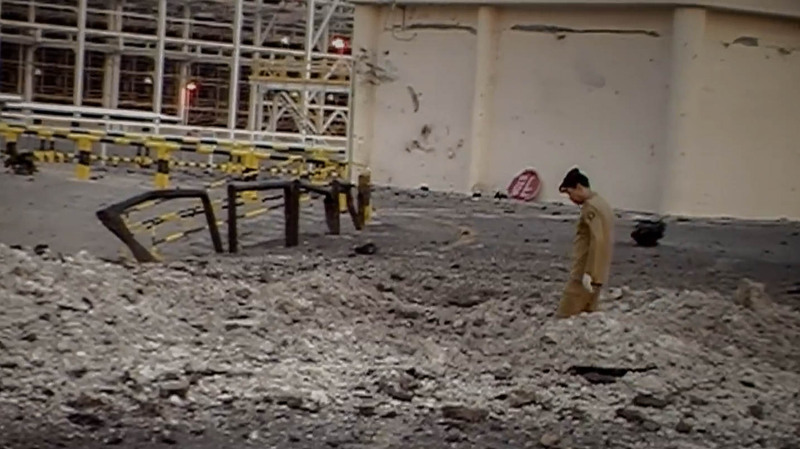 After entering the oil processing facility, both covert SVBIEDs detonated too early and only limited damage was caused to the facility. All these three examples of early al-Qaeda SVBIED designs are interesting, as they contain many design characteristics that have since become standardised features on most covert SVBIED designs. All of this footage was included in “Path of Blood”, an extremely interesting documentary that I recommend everyone to watch.